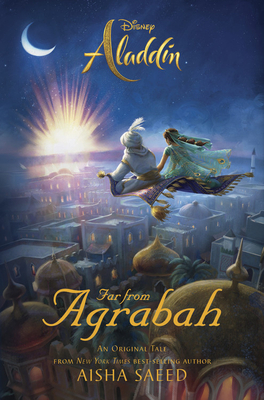 Aisha Saeed is the author of WRITTEN IN THE STARS (Penguin/Nancy Paulsen Books, 2015) which was listed as a best book of 2015 by Bank Street Books, a 2016 YALSA Quick Pick For Reluctant Readers, and named one of the top ten books all Young Georgians Should Read in 2016. She is also the author of the middle grade novel AMAL UNBOUND (Penguin/Nancy Paulsen Books, 2018) which has received starred reviews from Publisher's Weekly and Kirkus and is a Global Read Aloud for 2018. She also has a forthcoming picture book BILAL COOKS DAAL (Simon & Schuster/Salaam Reads, 2019). Aisha is also a founding member of the nonprofit We Need Diverse Books?. She has been featured on MTV, the Huffington Post, NBC, and the BBC, and her writings have appeared in publications including the journal ALAN and the Orlando Sentinel. Aisha is represented by Taylor Martindale at Full Circle Literary Agency and lives in Atlanta, Georgia with her husband and three sons.